Internal Doors Premdor's internal range features a wide selection of stylish doors that seamlessly combine quality materials with outstanding craftsmanship. 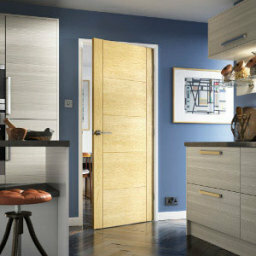 Pick from the UK's favourite moulded door range or the renowned real wood veneer door collection, which utilises striking and original designs in various veneer types, allowing you to choose the perfect door for your home. Solid timber doors and BWF-Certifire compliant fire doors (including glazed options) are also available from the UK's largest door manufacturing facility. Premdor is one of the UK's leading manufacturers of timber doors. We supply both interior and exterior doors and our extensive range also includes everything from French and folding doors to doorsets. 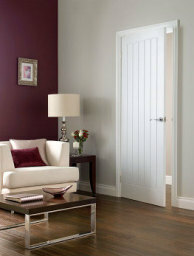 Our products benefit from almost 90 years of experience in door and joinery manufacturing. Premdor was the first joinery manufacturer to produce and sell moulded panel doors in the UK and, as a result, we have gained an unrivalled reputation for offering new joinery solutions to the market. In an industry where quality and trust is paramount, we are proud to be considered unparalleled market leaders in door innovation. Consequently, we have become the best known joinery brand amongst construction professionals and consumers. Over the years, Premdor has embraced new design innovations, which have allowed our products to develop and evolve enabling us to offer the highest quality timber doors on the market. As a division of Masonite, our doors benefit from the quality and manufacturing expertise that is synonymous with the Masonite name. We are also committed to delivering the highest quality doorsets and bespoke doors, manufactured to specification. At Premdor, we are proud to offer such a diverse range of distinctive, well-manufactured doors that meet both the style and quality specifications required for modern living. A leader in joinery innovation, Premdor has launched a variety of products since its establishment over twenty years ago, including an unrivalled moulded door collection, improved and enhanced veneer and foil door options and Premdor's selection of revolutionary doorsets. Premdor's new Premium Door Collection encompasses a unique selection of contemporary and traditional internal and external timber doors, made using real oak or hardwood veneers. This new collection includes a wide range of popular metric and imperial sizes in a variety of styles and finishes, including fire door and fully-finished options. Glazed choices complete this exciting assortment of solid doors.